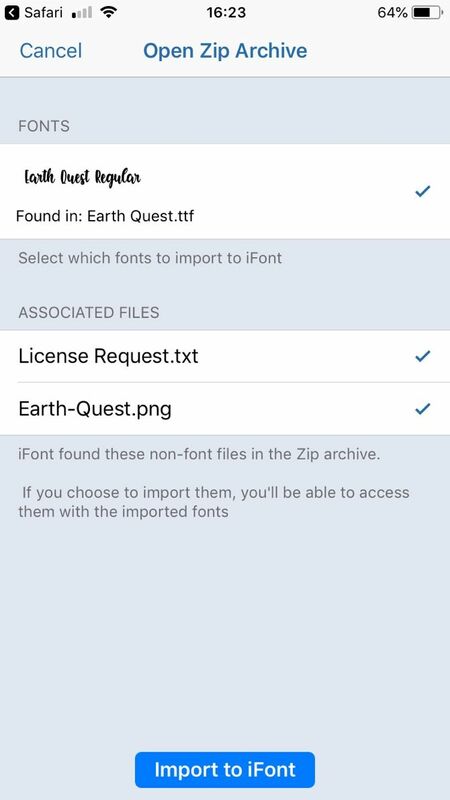 Next, download the font you want. You can tap the Download tab on the bottom of iFont to access free Google fonts. If you don’t care for any of those, visit a font download site in your browser and select the Download button for the font you want. 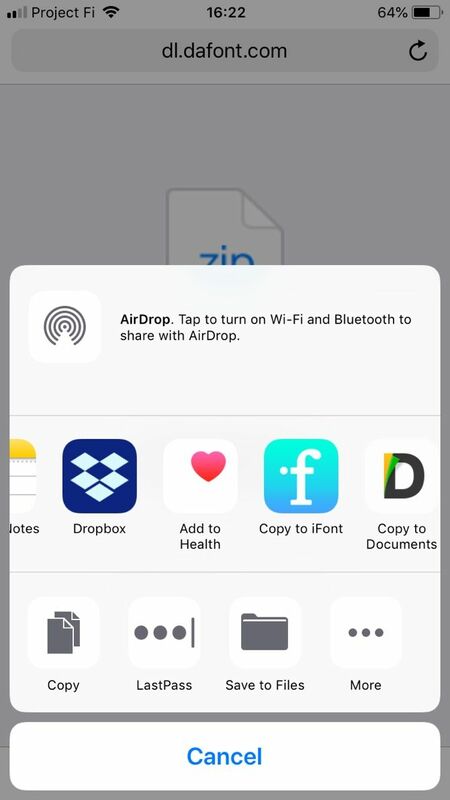 Tap Open in iFont if that shows up, or More > Copy to iFont to open it from the sharing menu. Now you’ve installed the font and can use it anywhere! 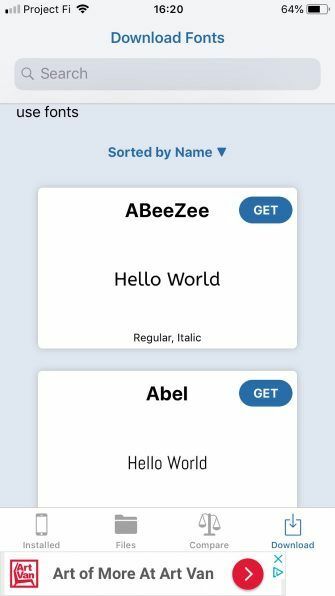 Check the list of fonts in whatever creative apps you use to find it. 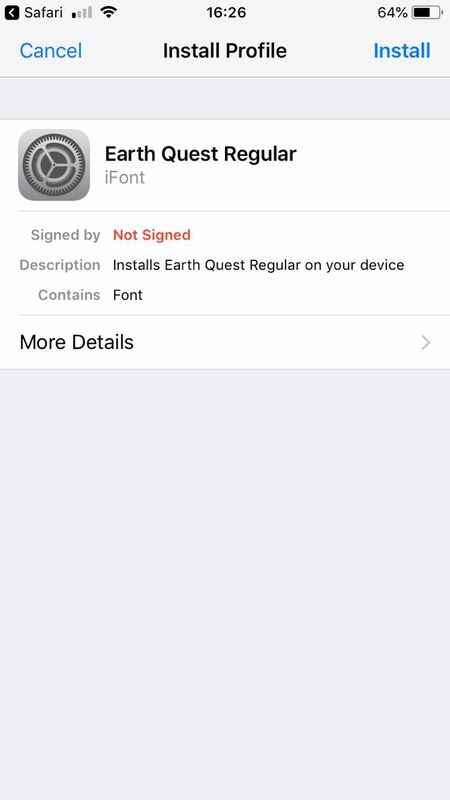 If you don’t see it, that particular app might not support custom fonts. For more like this, check out tweaks everyone should make to their iPhone.